Go back a few years (around four but it sure seems longer) and it could have been argued that David Price was the best and most exciting up and coming British heavyweight on the scene. An Olympic medal winner who also held a win over an amateur Tyson Fury, Price was putting opponents away in quick and impressive fashion. Then the likeable giant from Liverpool ran into Tony Thompson (twice) and it all fell apart. Ever since, though he has gamely tried to rebuild, Price has been looked at as a ‘what might have been’ figure: stoppage losses to Erkan Teper and, this past February, Christian Hammer not helping in the slightest. But still, after all he’s been through, Price is not ready to pack it in just yet. And as crazy as it may sound, there might – just might – be one last shot for Price. He and Tyson Fury exchanged twitter messages today, with Price calling Fury out and Tyson accepting. As fans know, Fury is aiming for a return to the ring next year (his uncle and trainer Peter suggests April) and if and when he does return, Fury will likely need a tune-up dance partner (unless Fury foolishly goes straight in there with an Anthony Joshua or a Deontay Wilder) – and Price could be the guy. “Tyson I’m the last (and only) Englishman to beat you! I know deep down you still want revenge,” Price wrote. Many fans will likely laugh at the very notion of this match-up, but as a comeback fight for Fury it would definitely have some appeal – and as he points out, Price is the only man to have beaten the former world champion who never lost his belts in the ring. Fury would enter as a huge favourite no doubt, but Price can really punch and if (yes, a big if) he goes for broke with a last-chance-at-the-saloon attitude, who knows, Pricey might make things interesting. Shannon Briggs is also apparently in the frame as far as who Fury’s return foe might be, but here in the UK (where we love an underdog) a Fury-Price fight would prove more intriguing. After all he’s been through, might Fury offer Price one last chance of getting anywhere close to the top? Who knows how much Fury will have left skill-wise, chin-wise and stamina-wise upon his return. Just maybe Price will find himself in the right place at the right time for once. Wouldn’t it be some story if Price managed to repeat his unpaid win over Fury! Next boxing news: Havnaa: “Everything is in place for another great victory! 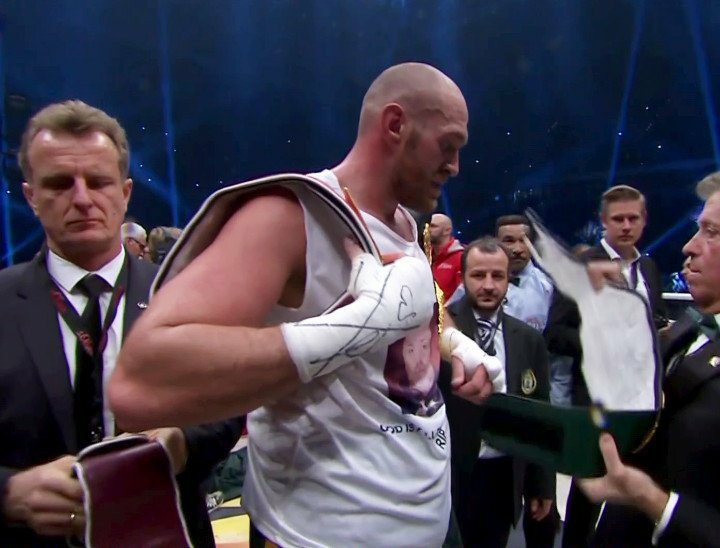 You are here: Home / Boxing News / Tyson Fury-David Price in 2018? Both men want it!